The period between now and the end of the season is going to be a worrying time for the Chelsea support. It appears that we’re going to be bombarded with speculation relating to the future of Eden Hazard. The 27-year-old is, as we’ve mentioned on numerous occasions torn between remaining at Stamford Bridge and trying his luck at his dream club, Real Madrid. 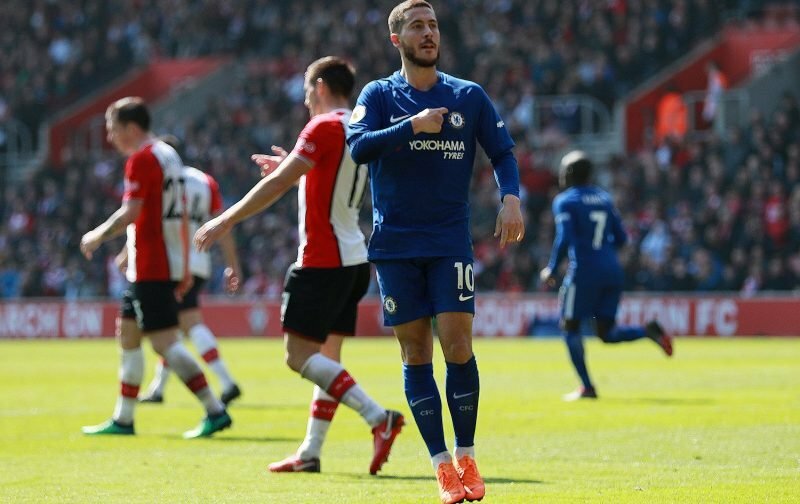 Now, my personal view is that Eden will decide to move on at the end of the season and that view has been strengthened by an article I stumbled across this morning, an article printed in the Express, but originating from the continent. But what is more worrying is that the article implies that talks between Chelsea Football Club and their prize asset have stalled. Now that is not what the Chelsea support wanted to hear, is it? Let him go, aside from the fact we have a transfer ban coming up, no point in holding onto him if he wants to leave. Not good for morale having a “want-away” player in the squad. Only the mumu fans will mention to let Eden leave.. He is our best player.. He can’t just leave… Stay and enjoyed your family in London bro..